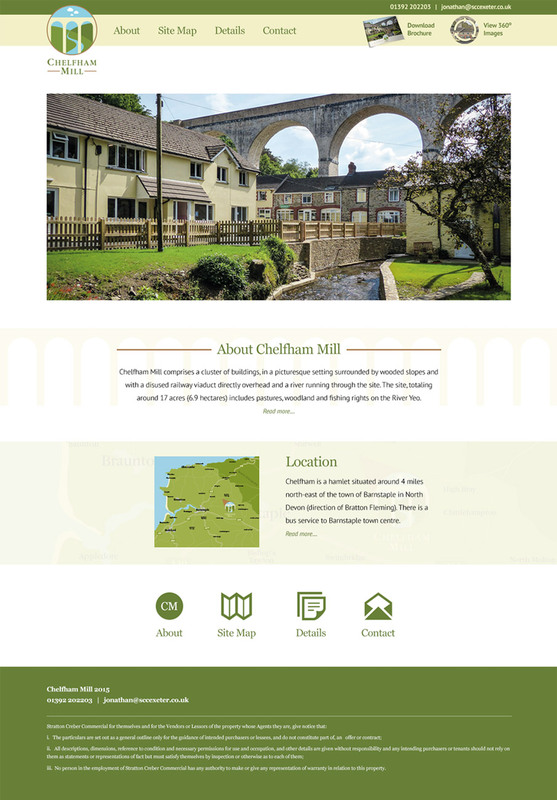 We have completed a timeless branding exercise (on behalf of property consultants Stratton Creber Commercial) for Chelfham Mill, a cluster of buildings for sale on a site that was formerly a school. Just 4 miles from Barnstaple, this property is surrounded by lush woodland, pastures, a river running through the site with fishing rights and an old railway viaduct running overhead. First off, we created a logo. The logo design brief was to harness the heritage and natural surroundings that are the key features for this property. The towering viaduct and forested slopes were recreated as graphic elements, whilst the logo mark and typeface reflected the heritage of the buildings that include a former mill house. 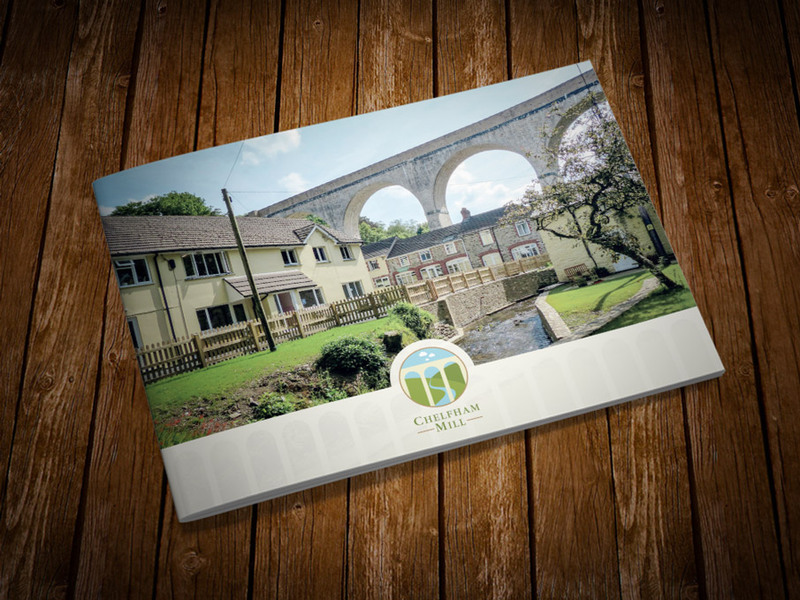 For a classic 8 page landscape property brochure, we utilised graphic elements from the logo, typeface and colour palette. 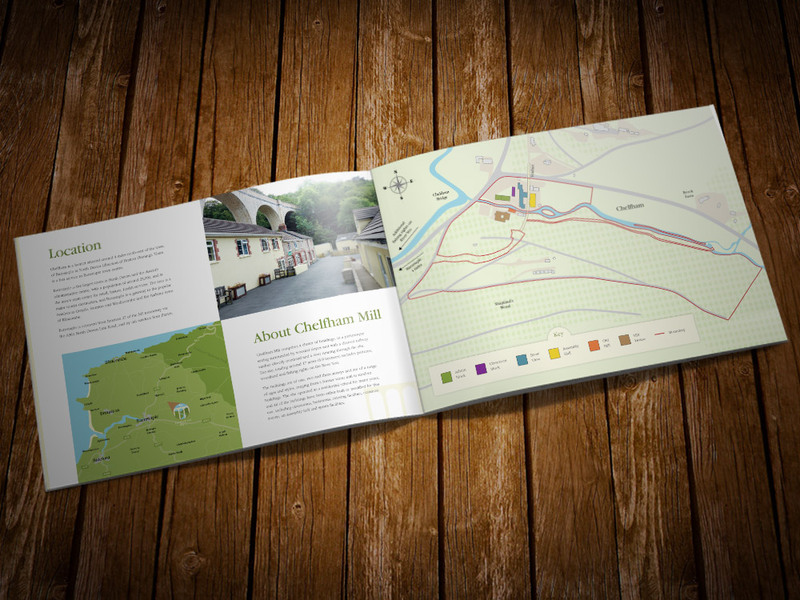 An aerial site map and location map were incorporated to maximise visual interest and easy navigation. The brochure was supplied as a downloadable web version and in a print-ready format. 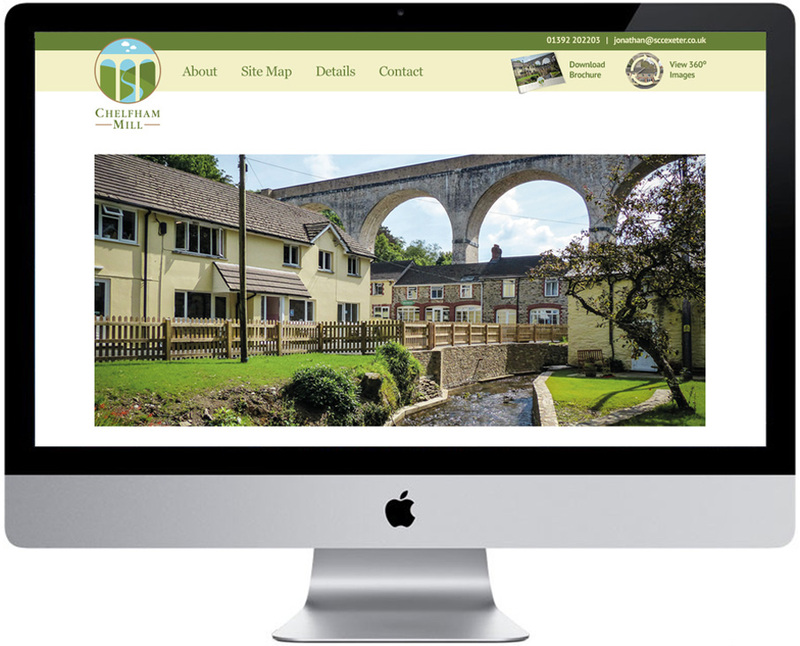 Last of all, we created a responsive WordPress website as a portal for prospective buyers to peruse images of the buildings, floor plans, Energy Performance Certificates and other documents involved in the buying process. The website carried the same graphic elements to create a powerful synergy.